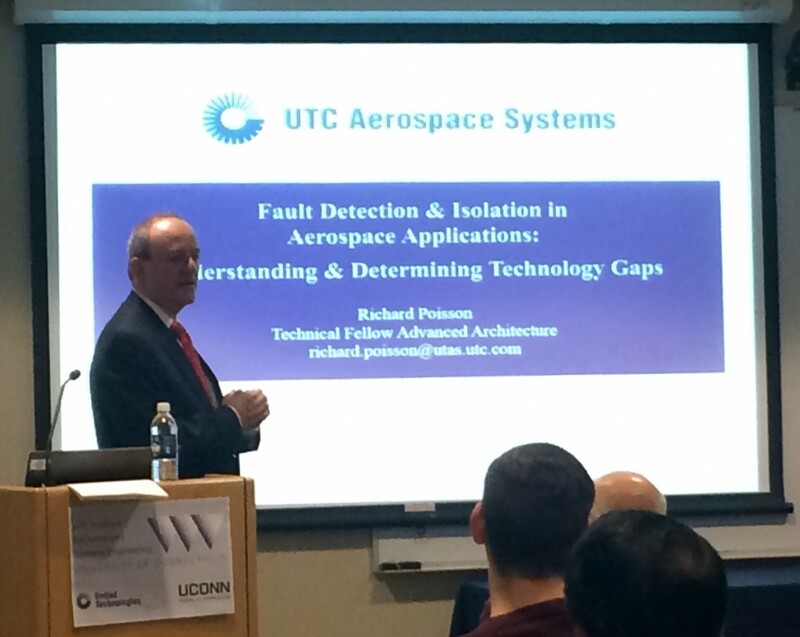 The title of Richard Poisson’s seminar on February 25, 2016 was Fault Detection and Isolation in Aerospace Applications – Understanding and Determining Technology Gaps. Richard Poisson discussed why faults and fault isolation are of interest to the aerospace community. He provided an overview of the current analysis methodology that is employed during the design phase for fault detection, classification and isolation. This overview was followed by a discussion of the latest products and systems in aerospace industry that are more electric, more complex, and more intelligent. This complexity and increasing reliance on computational approaches has a direct impact on fault detection and isolation. Several aspects of this emerging area of fault detection and isolation were discussed including the currently employed BIT and BITE concepts. Rich concluded the talk by identifying areas of future research in this field.